Everything has a life span. Things are born, they live, and then they die. So it also goes with computers. After a while they fill up with bugs and viruses and things begin to slow down. Eventually, the music and pictures are lost in a busted hard drive. 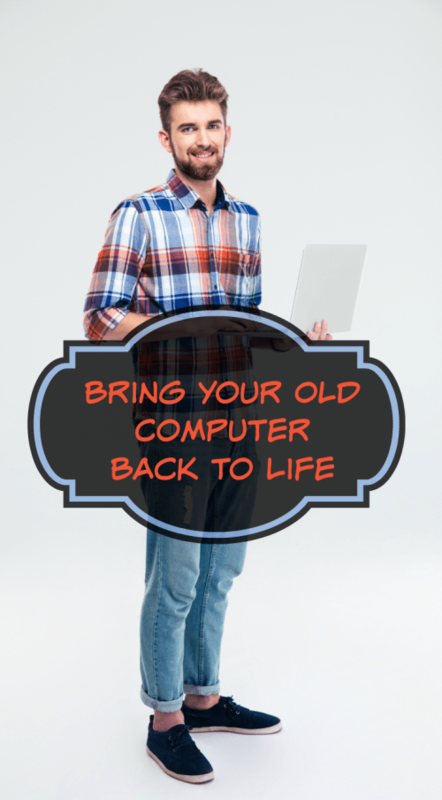 With FreshStart, your old computer gets a new lease on life and won’t have to spend a fortune. Visit the FreshStart page and find out what they have in store for you. What Makes FreshStart So Wonderful? Make just one click and one of our ten thousand certified technicians will come to you and take care of everything. After your FreshStart, you will have a computer that’s guaranteed to be virus-free with more storage and years of productivity. Visit the FreshStart Order Page today and order your own FreshStart service today. A technician will be at your location to install your FreshStart drive in under thirty minutes, and, depending on the amount of data you have, the full process takes about an hour. The days of dropping your computer off at the service center and being without one for days is over. Computers mean time and time means money. A laptop service bundle is around $150, and the desktop service is around $180—both of which are a sliver of the cost of a new personal computer. For people who feel comfortable with following a YouTube hard drive replacement video, we offer the FreshStart DIY kit on NewEgg and Amazon, starting at a mere $89. Check out the FreshStart page to see if your computer is a right fit for FreshStart. To use FreshStart, you simply have to schedule an appointment with one of our certified technicians. They will arrive at your home or office to install the FreshStart drive. Once installed, the preloaded software finishes the rest of the job. After putting in the the FreshStart, your PC will be running faster than ever and is guaranteed to be virus-free. It adds years of life to your old PC and makes it run faster than when it was brand new. Get ready for more more data storage because FreshStart removes all viruses and malware. It copies all of your precious data and settings over to a new hard drive while turning your old hard drive into a secure backup. You also get 90 days of Norton Security absolutely free. If your computer meets these specifications, it’s a FreshStart Candidate! If you’re still not sure, take this quiz to find out if your computer could benefit. To keep updated with FreshStart, follow their social media channels on Facebook and Twitter.